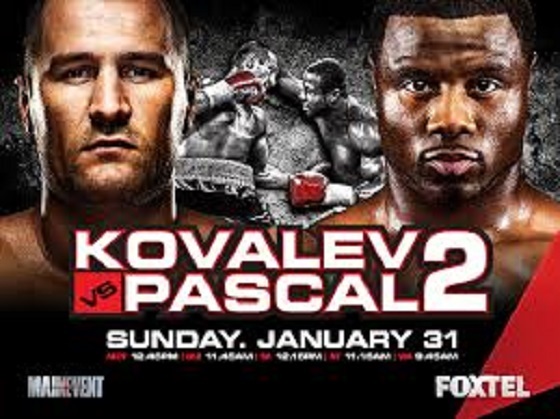 On Jan. 30, WBA/WBO/IBF light heavyweight champion Sergey Kovalev and former champion Jean Pascal will meet again inside of the Bell Centre in Montreal, Canada. Pascal gave a spirited effort the first time around but was ultimately stopped in the eighth round. Heading into the rematch, Pascal enlisted the services of esteemed trainer Freddie Roach, and is of course full of bravado. Take a listen below for an audio highlight of a recent press conference featuring Pascal and Roach, as well as Kovalev and his trainer John David Jackson. Footage courtesy of Chris Gunzz.